This print combines collage with linoprinting. 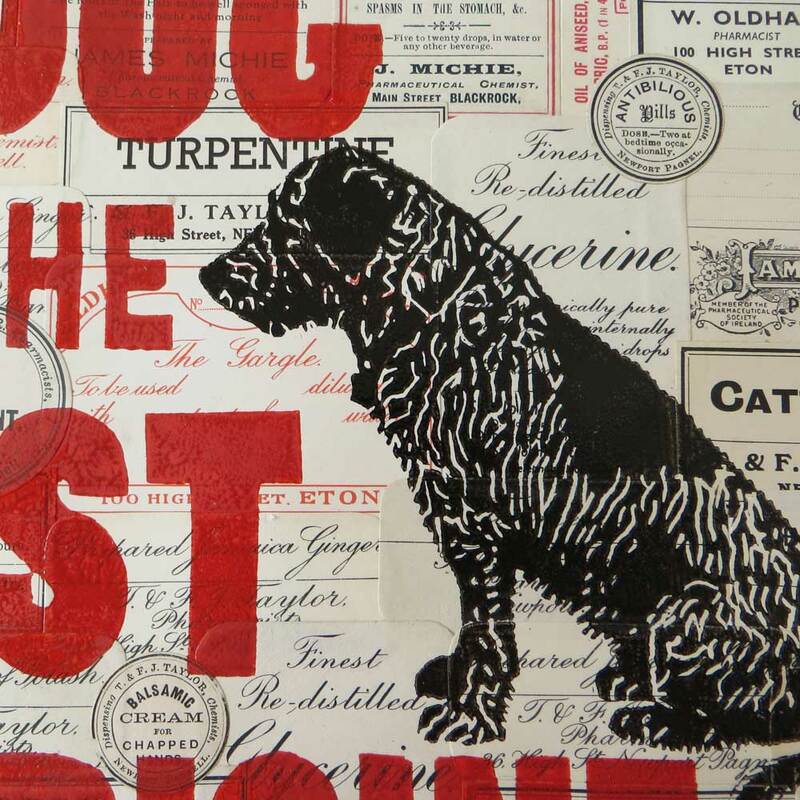 It is made from a collage of vintage, original medicine bottle labels. These are very collectable and have a wonderful array of old typefaces, both scripts and block letters. They are the lovely, aged, mellow colour of old parchment. 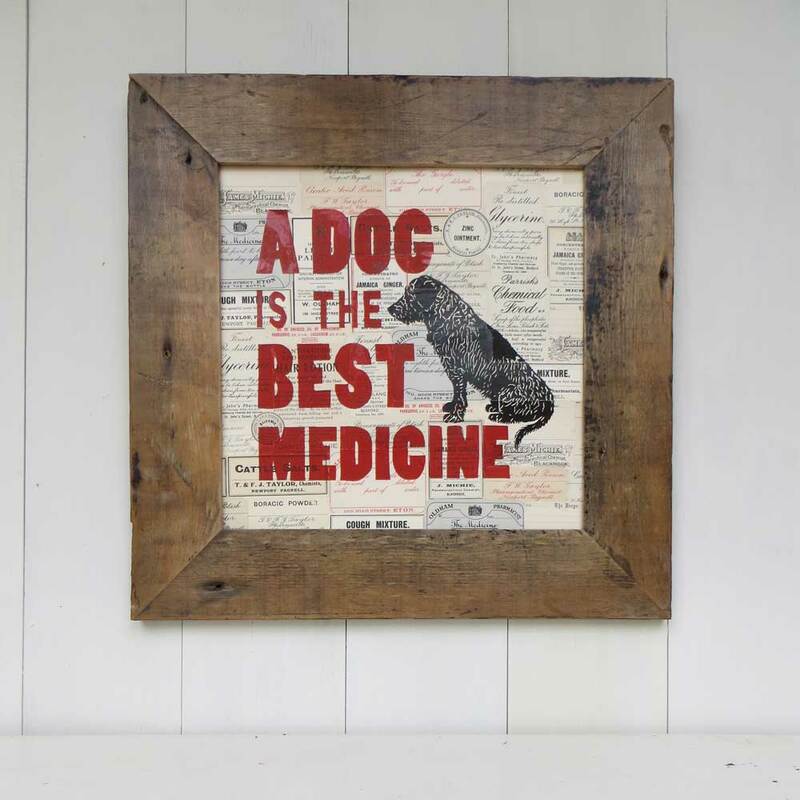 It's not surprising that this print is often bought for dog loving vets and doctors! I make a unique, individual collage of actual, original labels for each print, so every one is slightly different and completely unique. There will only be 100 of these prints and each one is individually signed and numbered on the reverse. Mount size: 16 x 16"
Hand-made, reclaimed solid wood frame in a vintage style with its own pattern of knots, dinks, scratches, nail holes, wonky edges and aged patina. Finished with clear wax. Frames are approximately 43 cms square and are fitted with crystal clear acrylic ‘glass’. They come ready to hang. You are a miracle...I was in the absolute most foul mood, and then the print arrived in amazing transatlantic speed! I love it, but, let me tell you why. 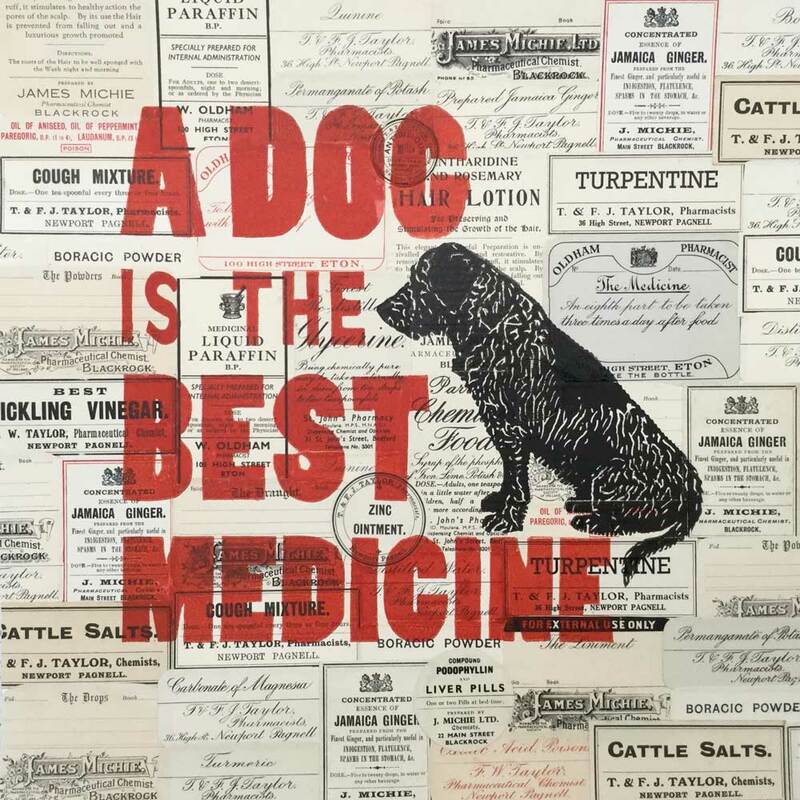 I have been a nurse for the past 35 years, the medicine labels are perfect, and have had dogs in my life since I was 5. So you see your work is perfect for me. Thank you, The Enlightened Hound has lifted my mood!" 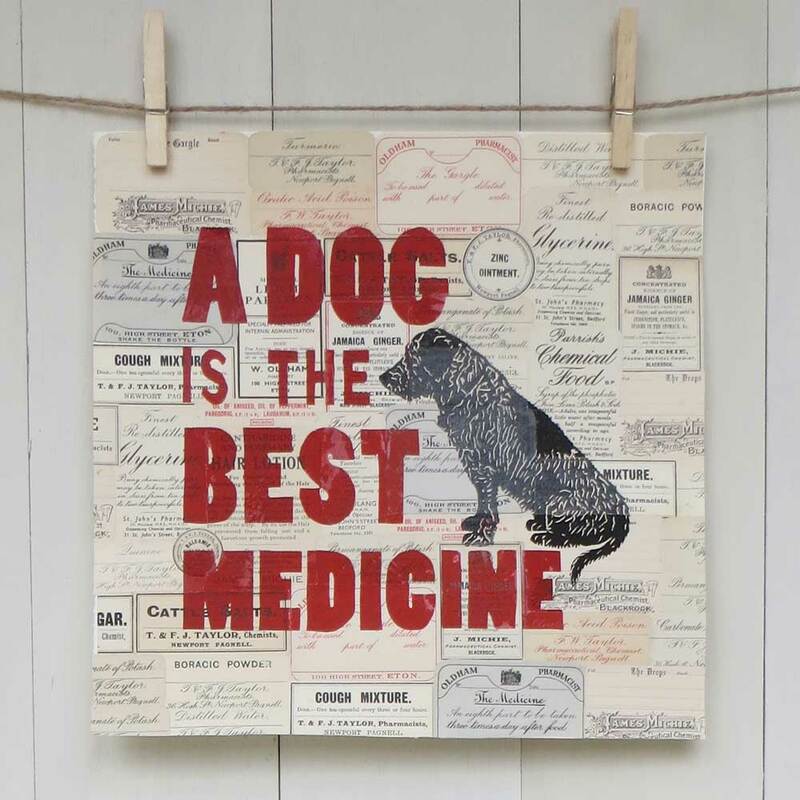 A play on the idiom "laughter is the best medicine", I created this print in honour of a dog’s gift to make us feel better, whatever our situation.